If you’ve been thinking about purchasing a new pair of glasses, you’ve probably heard someone mention STATE brand glasses. 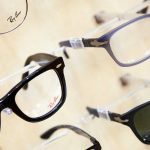 These trendy, American-made eyeglass frames are making a splash in social media and fashion shoots across the country. Now, for the first time, they’re available in Dr. Barry Leonard’s office! Read on to learn more about why we’re so excited to bring you these fresh, funky designs. What’s the big deal about STATE brand glasses? For one, STATE eyeglass and sunglass frames are the first truly American luxury eyewear product. They are individually crafted by Chicago artisans during a rigorous, extended 75-step process. Over half of the company’s manufacturing processes are performed by hand, resulting in a product that has both unique charm and uncompromising quality. Available in a variety of colors, both spunky and sophisticated, these glasses will add the perfect punch to any outfit. A seamless hand-polished finish, lustrous acetate frames, and personalized fittings make them some of the sturdiest—and most beautiful—eyewear accessories you’ll ever wear. Bearing the names of famous Chicago locales, the company’s dozens of frame options make a bold statement while keeping your eyes safe and healthy. In the mood for a sleek, raspberry colored cat eye? A scholarly tortoiseshell frame? Or maybe a vibrant ombre sunglasses set? STATE has you covered no matter what. Just browse through their diverse collection of styles and colors to find the design that’s perfect for you. Where do STATE brand glasses get their fresh, distinctive style? The genius behind it all is Blake Kuwahara, an internationally-renowned eyewear designer and licensed Optometrist. His exclusive introductory line for STATE boasts classic American silhouettes, retro stylings, and crisp modern lines. No matter your style, you’re sure to find a pair that you can’t live without. Kuwahara’s background as both a designer and an eyecare professional gives him insight into creating eyewear that keeps your eyes happy and healthy without sacrificing a stylish appearance. STATE brand glasses are some of the trendiest accessories around—and now you can find them at Dr. Barry Leonard’s office! We’re proud to carry all the latest original designs from the STATE workshop, and to offer custom fittings for any style. We can also measure you for frames and find the fit that works for you! Call our office at 818-891-6711, or simply make an appointment online, to learn more.